A collection of both classic and modern pop songs filled the gap between songs by Swedish pop superstars ABBA, whose 1981 hit “Gimme Gimme Gimme (A Man After Midnight)” served as the inspiration for Block 3. Many first-time dancers were surprised at how well they had fared after their first six hours. Dancing had started to take a toll on Medill first-year Camille Williams, but she was in good spirits. “I can’t dance that well in the moment, but I still feel good,” Williams said. In between songs, dancers were treated to a “Mr. Brightside”-themed light show; heard from celebrity Kato Kaelin, an American actor best known as a witness in the O.J. Simpson trial and were taught the third part of the 30-Hour Dance, which dancers will perform at the conclusion of Dance Marathon. First-years speculated on how they planned to make it through the next day of festivities. Multiple students suggested taking it “block by block” or other strategies to avoid being daunted by the hours still to come. “Don’t think about how long it is, just try and enjoy the moment,” Kaiser said. Near the end of the second hour of the block, Dance Marathon’s finance committee appeared on stage to announce a total of 503 service hours had been completed by the dancers. 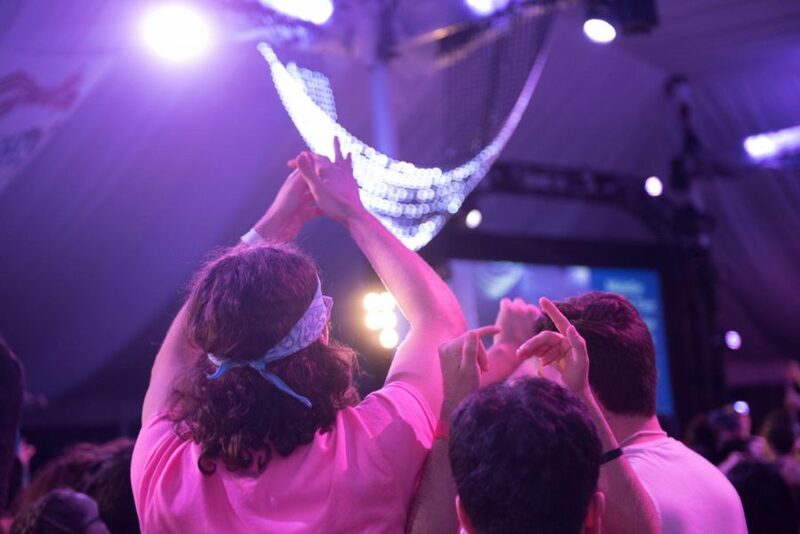 Members of the 120-hour club, seniors who have danced in every dance marathon since they were first years, offered their more seasoned guidance. Communication senior Andrew Harlan, dressed to theme, wearing blue sequin bell-bottoms, expressed his strategy in terms of adrenaline. 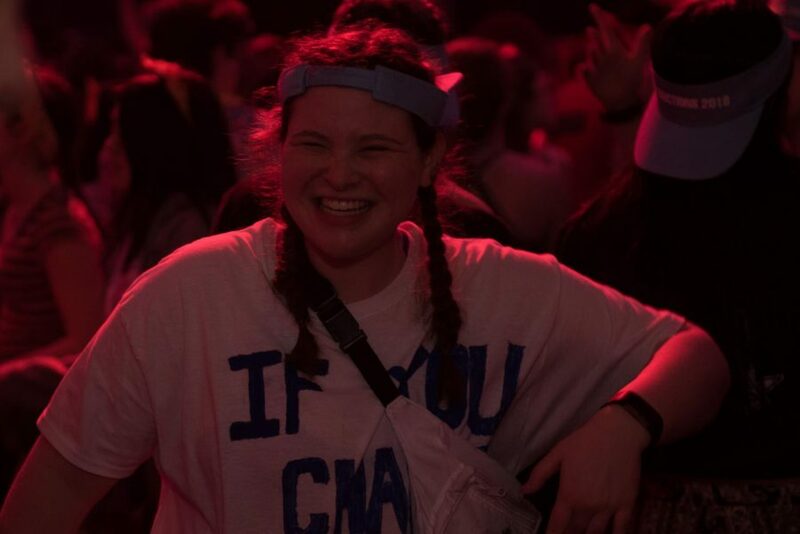 Read more of The Daily’s coverage of Dance Marathon here.